An imaging system has been developed for machine vision using 3D stereo vision cameras with depth sensing capabilities. The Imaging Source has created a practical and flexible stereo 3D vision solution suitable for many machine vision applications and ideal for getting started in the field of 3D depth sensing. From image capture and rectification to precise depth estimation and visualisation, this highly accurate and flexible stereo 3D system bundles application-specific industrial cameras with powerful 3D vision software to offer a complete 3D imaging solution. The free software IC 3D allows for easy calibration via the user-friendly interface and ensures that the system can be quickly adapted to a large range of working distances and fields of view. Depth maps and 3D point clouds can be rapidly visualised via the interactive 3D viewer. Calibration datasets and stereo image sequences can be exported and imported for later use. Additionally, the programming interface IC 3D SDK enables integration with existing software and offers GPU-accelerated 3D capture via accelerated routines using NVIDIA CUDA, achieving real-time performance at 2 MP. The IC 3D rig offers a modular approach to stereo 3D vision which means that system configuration can be perfectly matched to application requirements. 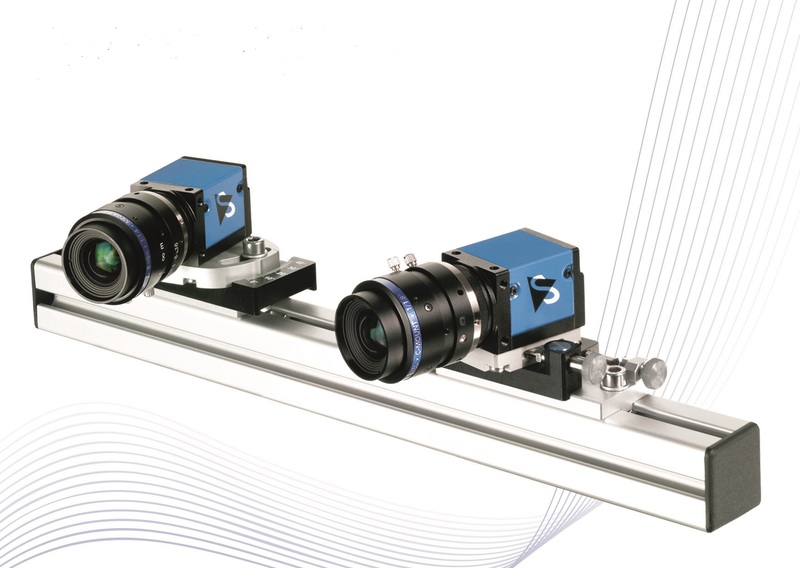 Any fixed-focus, software-triggered industrial camera from The Imaging Source can be mounted to the IC 3D rig – enabling easy adjustments to camera baselines and vergence angles for maximum flexibility in measurement volumes; structured illumination can also be integrated for low-contrast scenes. Comprehensive software support for Windows and Linux leaves nothing to be desired: Both programmers and end-users immediately feel at home. Getting started with the cameras takes only a matter of minutes and integrating them into existing applications requires only a few lines of code. All cameras are shipped with drivers for LabView, HALCON, MERLIC, VisionPro, DirectX, Twain, and NeuroCheck; camera parameters and settings can be set via the shipped software. End-user applications, an SDK consisting of .NET and ActiveX components and a C++ class library for W7/8/10, Vista and XP, and drivers for third party software are included with the cameras. In addition to this, powerful automatic modes ensure optimal image quality even under varying lighting conditions. The cameras are shipped with: Driver for Windows XP, Vista, W7/8/10, and the SDK IC Imaging Control 3.2 (.NET and C++ library) and IC Capture. IC Capture is a powerful end-user software to set all camera parameters and to display and save single images and image sequences.